After living in Germany for 2.5 years, we knew we would miss the German Christmas markets when we moved back to the US. 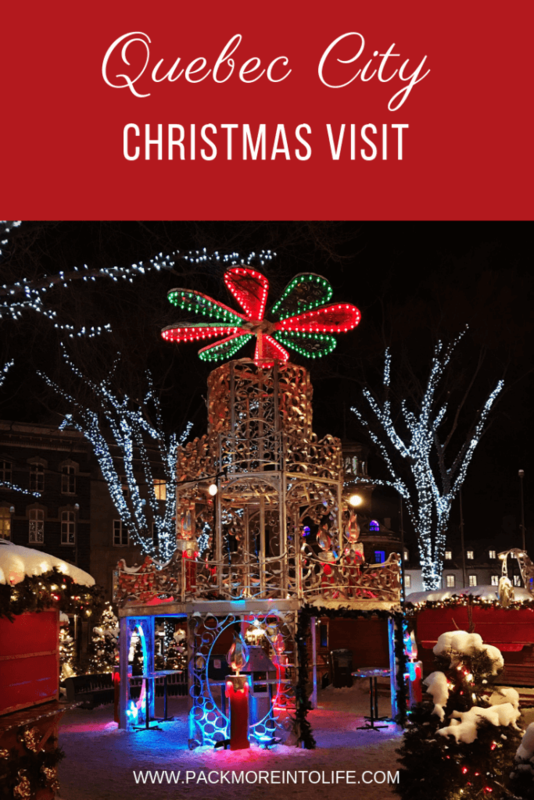 When we started planning on December trip, we knew we wanted to find a place that was close enough for a short trip but also had a fabulous Christmas market and European charm that we missed. 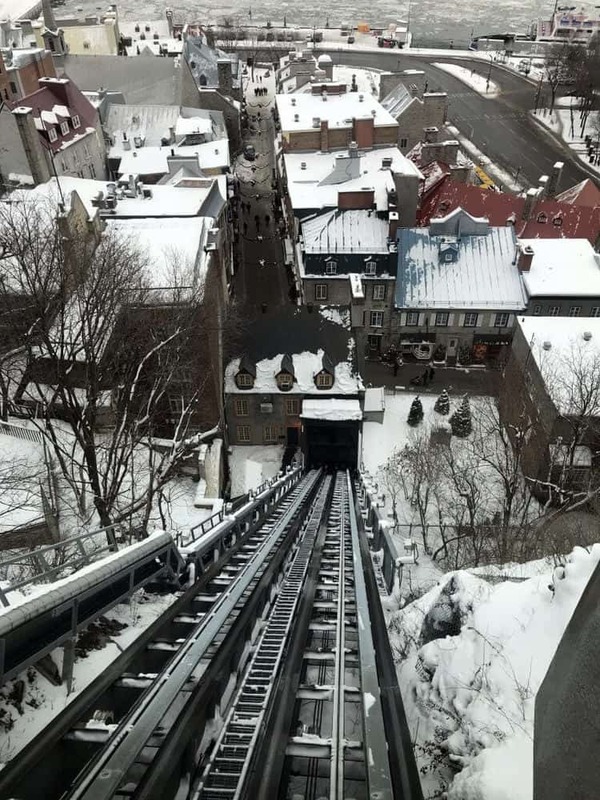 Quebec City, Canada fit the bill perfectly. From its quaint cobblestoned streets, amazing French cuisine in their old Quebec city restaurants, to the culture and history of this beautiful city, we couldn’t have asked for a more romantic place to spend a few days. 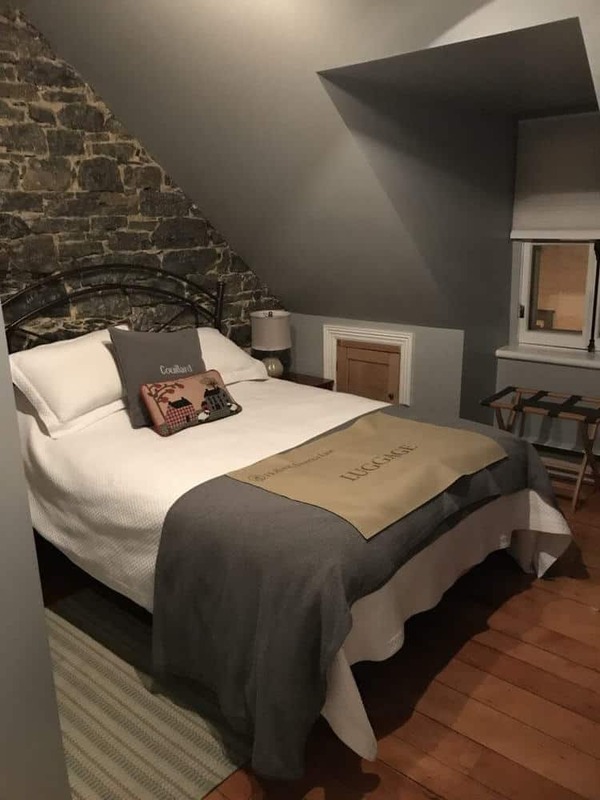 In this blog post, you’ll discover the best places to stay in Quebec city, the best restaurants in Quebec city, the best things to do in Quebec City and even simple things like where to find parking in Quebec City. We will share everything from what we visited each day and how to make sure that you have a fantastic trip! Where is Quebec City, Canada located? Quebec City is located on the Eastern edge of Canada and located near Maine in the United States. It is Quebec’s second largest city with a population of just over 500,000 people. 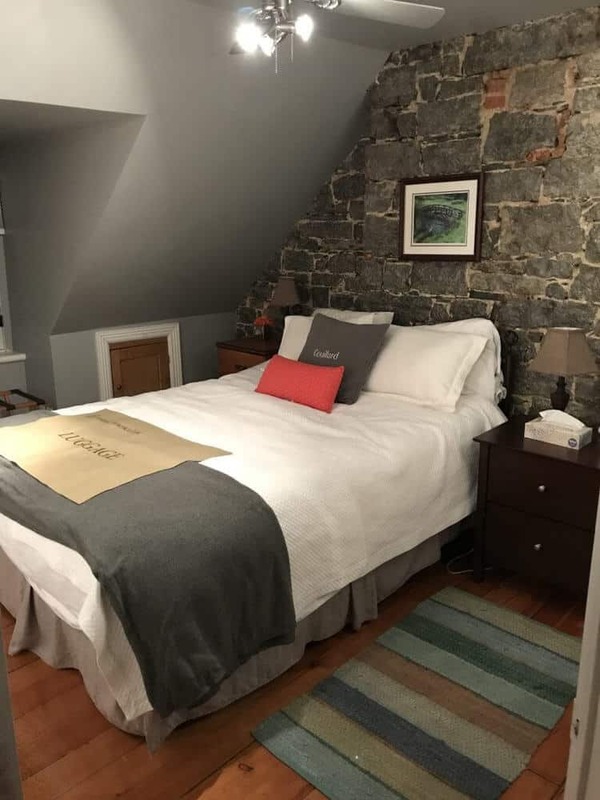 We knew we wanted to stay in the Old Quebec City area inside the historic walls. I found a fabulous two bedroom apartment that was minutes from the Christmas Markets, walking distance to the majority of the tourist attractions within the city and steps from some fabulous restaurants (more on those later). Patti was our host, and she was terrific, easy to communicate with and had great recommendations for things to see and where to eat in the city. There was even a set of papers in the guide inside the apartment with vegetarian-friendly restaurants. Always very helpful to have a local who knows the best places to eat and I’m happy to pass along that information to you! The apartment was not listed as a child-friendly accommodation, but we knew our four-year-old son wouldn’t have any difficulties. We checked in with Patti before our stay to make sure she was ok with older children. As soon as we walked in, we knew we were in good hands. 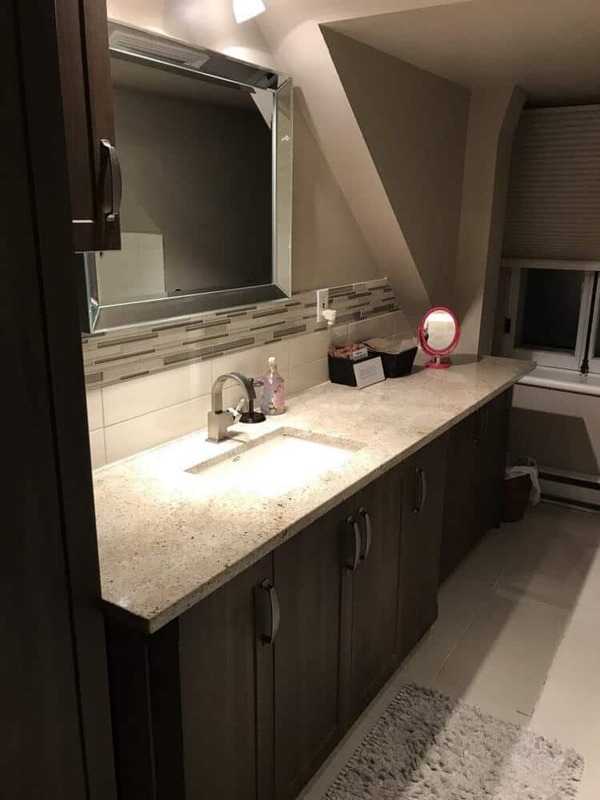 The apartment was clean, stocked with the essentials such as fluffy towels, soap, paper towels, coat hooks, coffee, and kitchen essentials. The furnishings were tasteful as well as gave the apartment a sense of feeling like you were at home without any personal belongings from the owner. We enjoyed having a little front entrance inside the apartment with space to sit down and take our shoes off, store our coats on the coat rack and have space for all of our winter gear. There is even a floor heater, which was perfect to dry out the gloves and hats. From the entryway, you climb a set of steps up to the main apartment area. From here you’ll find a kitchen with everything you could need, including a deck just out the window. So cute and I’m sure fabulous in the Spring-Fall. 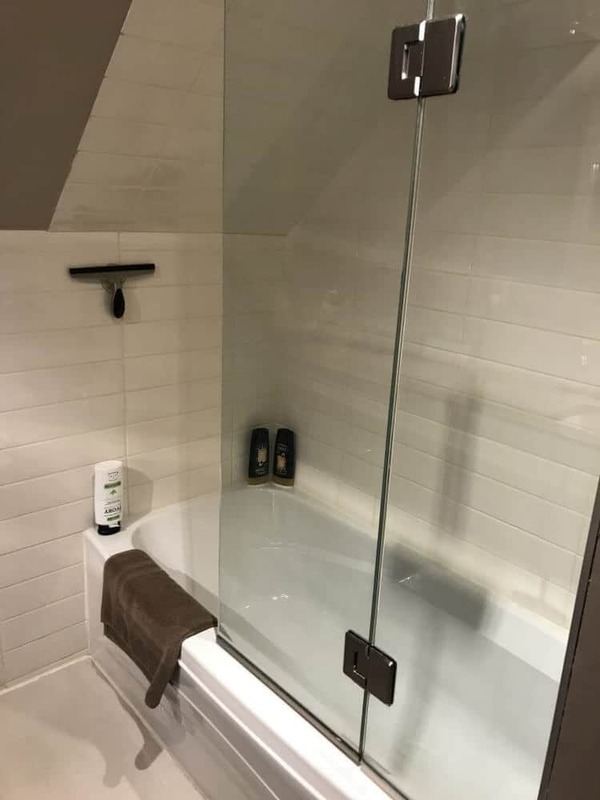 There is also a large full bathroom with tub/shower combination. It’s a bit tricky for taller guests but doable. There were plenty of towels and extras if needed. At the back of the apartment were two nicely sized bedrooms each with a queen size bed and soft fluffy linens — lots of pillows and extra touches like a full-length mirror, Dyson vacuum and place to store your luggage. Back out from the bedrooms, you’ll be back into the living room and dining room combo. There is enough seating for four at the dining room table and three in the living room. 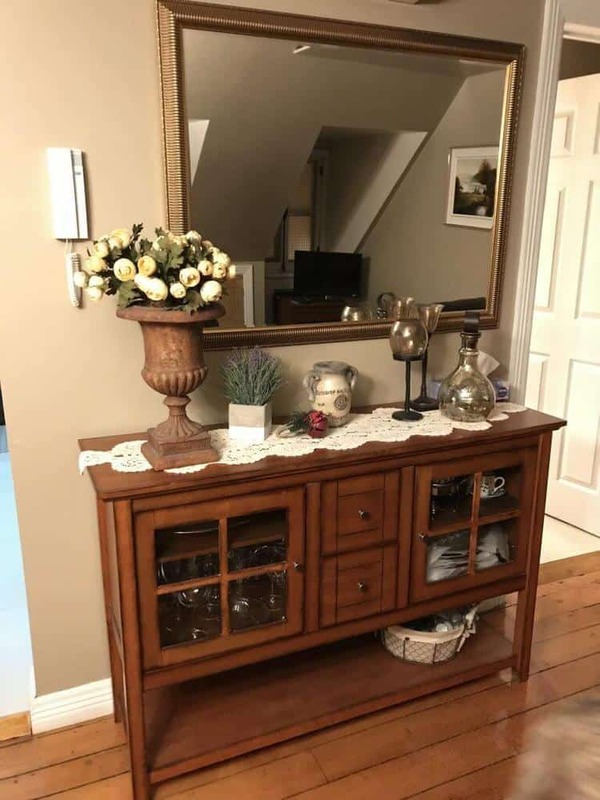 A TV is included. However, we didn’t use it during our stay. There is also a set of stairs that leads up to the attic storage area and is only for the owner. We thought the layout suited our family of 3 well. My husband appreciated the included coffee and the beds helped us doze off after a full day of sightseeing. 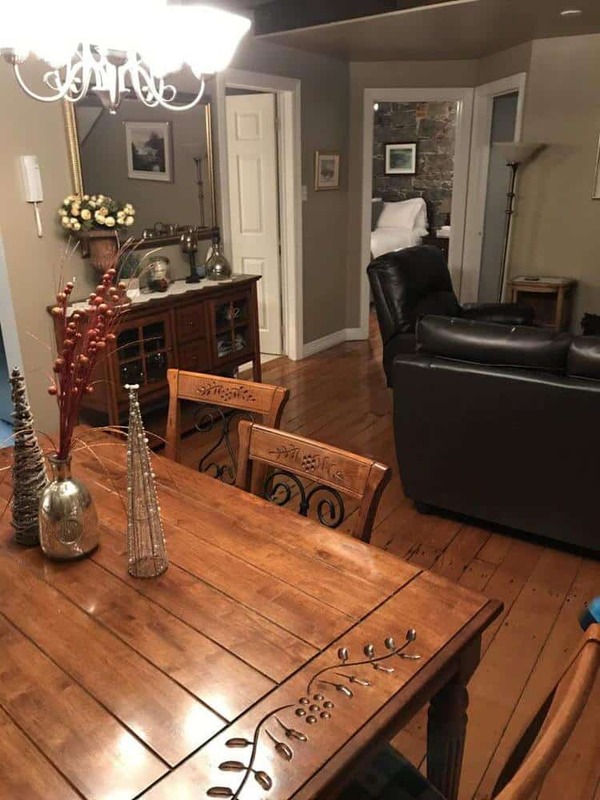 Want to check out the Vacation Rental for yourself? Click the button below, and it will take you directly to the listing. Be sure to tell Patti we sent you. Renting a car or no? Initially, we weren’t planning on renting a car. We knew that the Old Quebec City attractions were walkable and parking in Quebec City can be a pain. When we started to list out all the places we wanted to see and our transition to the winter resort Valcartier, we soon found out that we would need a rental car. I spoke with Patti from our vacation rental, and she gave me a great place to park with a daily rate of $17 per 24 hours. It was 5 minutes walking from our rental and was a covered garage. Rental cars aren’t overly expensive, but I wasn’t able to pick up in Old Quebec City and return to the airport, so we ended up renting and returning to the airport for just under $200 for six days. We rented from Enterprise and had a great experience. TIP: If there is a green light flashing, you have the right away to turn left. Everything else was similar to driving in the US. I won’t sugar coat it, visiting Quebec City in December is cold. The average temperatures in December hardly reach freezing, with highs of 20 degrees and lows in the single digits. Snowfall is pretty much guaranteed by December when the ski resorts open. But don’t let the cold weather scare you away! 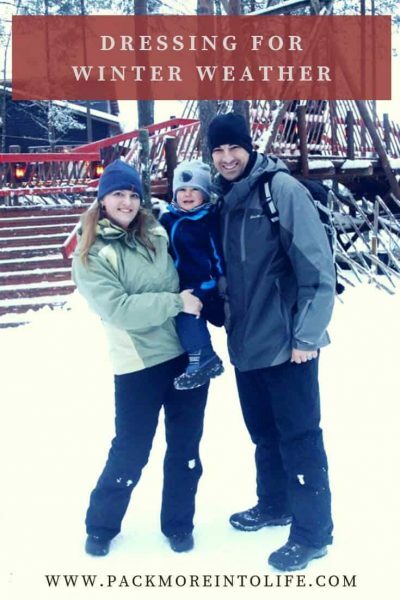 Bring the right clothing and bundle up like the locals! The whole city is decked out for the holidays, and even if you visit after Christmas, there are the Carnaval celebrations to look forward to in February. We lucked out with beautiful weather during our visit. It was just around freezing with light snowfall on one day. We had all of our gear from our trip to Finland the previous year, so if you need help with figuring out what to pack: head over to our blog post about Winter Gear (or click the image link below). We dress our son similar to how we dress ourselves; we just add an extra layer. If you are looking for a great place to enjoy a nice coffee with many different options for some fresh bread and bakery items, then this is the place to go. When you enter, you’ll see a line where you can order your drinks and food. There is ample seating for groups of all sizes. We enjoyed breakfast sandwiches on freshly baked rolls and croissants. As well as fresh coffee and hot chocolate. We were transitioning to a hotel after our stay in the city, we we also ordered quite a few muffins, chocolate croissants and our favorite, the lemon cake. Everything was spectacular and I don’t think you can go wrong with anything you order here at Paillard. If you are looking for another great place to get a nice coffee and something to eat, then head to Baguette and Chocolat. 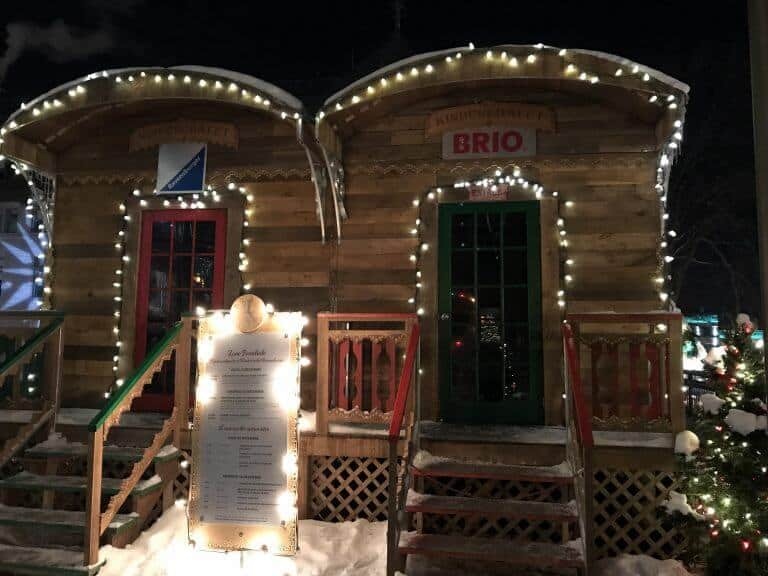 Located just across from the City Hall and easy access to many of the sights in Old Quebec City, you’ll find cozy seating, attentive and courteous staff, as well as lots of tasty options. We ordered two crepes and they were so good and came with a side of fondue style cheese to either dip or drizzle. Each crepe was large and was easily shared by an adult and child. My husband enjoyed the coffee and I had a peppermint hot chocolate, yum! You will fall in love with this place as soon as you walk through the door. We were there on a Thursday night and there was a guitarist serenading dinners as they enjoyed pasta and pizzas with a glass of wine. 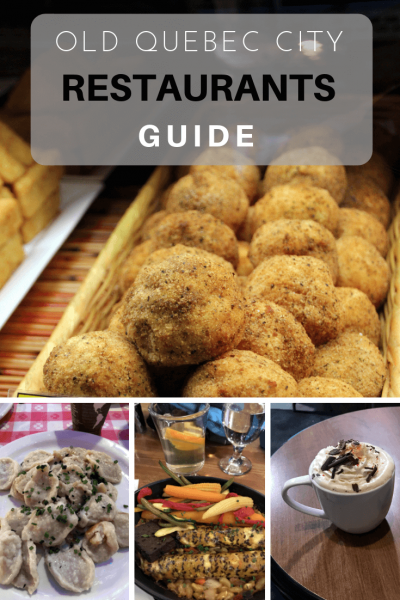 We ended up ordering some arancini balls, cheesy bread, soup and pasta to share. Everything reminded us of our time in Italy and went perfect with a glass of house wine. Be sure to check the local discount books for a free appetizer and limoncello. 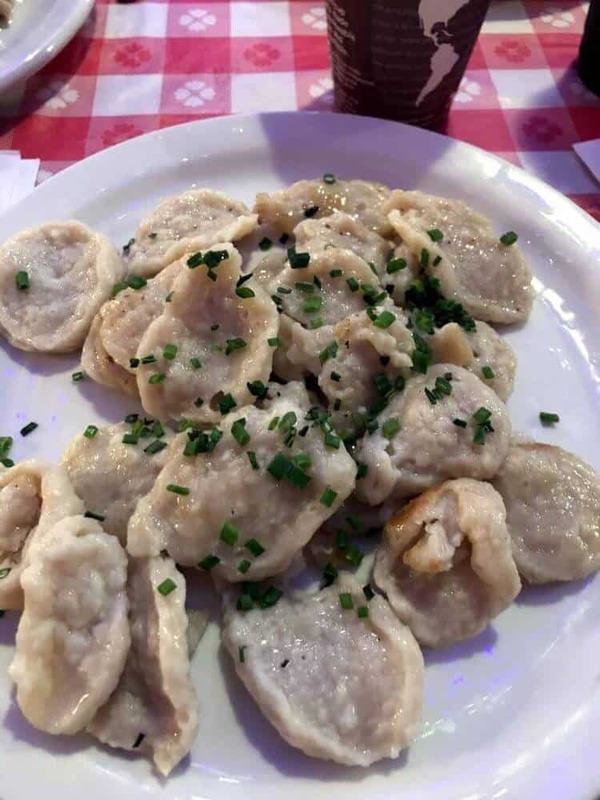 If gourmet Quebec Cuisine is on your list, but you want to enjoy it for a decent price, be sure to visit Aux Anciens Canadiens before 5:30pm for a three course dinner for only $29.99. Just watch for items on the menu that add to the original cost. We had a delicious soup, salmon pastry dish and the desserts were to die for! It worked great as a late lunch/early dinner spot. I wasn’t too impressed with the childrens menu. For the price, they said it was adult portions and I knew my son wouldn’t eat a three course dinner, so he just shared with my husband and I. This was one of our favorite meals and I’d highly recommend eating here. A fellow travel friend of mine said they have the best hot chocolate, I didn’t find out until we were getting ready to leave, so please visit and order one so you can report back to me! We did however have a wonderful lunch and it was the most kid friendly restaurant that we visited during our time in Quebec City. They provided little kids coloring and activity books along with crayons. Their children’s meals were sized appropriately and had a decent cost. Then at the end of an amazing meal, they had my son pick a toy from a little box. He was elated. If you want to read in-depth reviews about each restaurant we visited in Quebec City, then click the button below and it will open a new tab with a blog post all about the food, the location and ambiance (as well as how kid friendly the restaurant was). 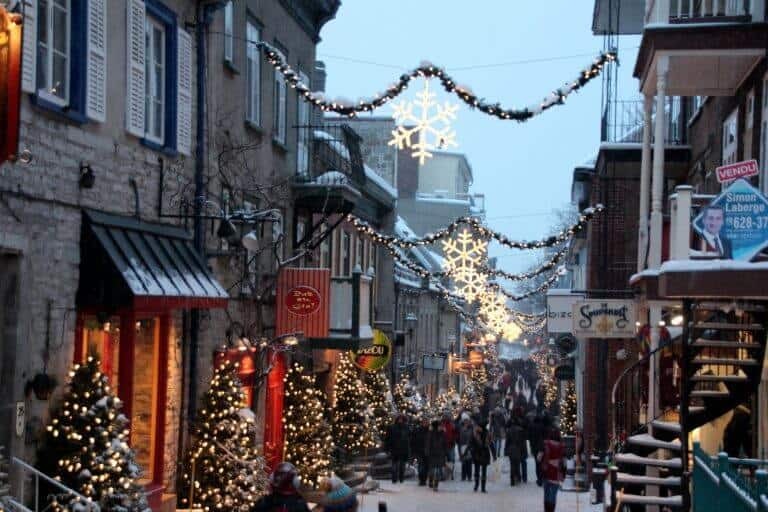 Old Quebec City is a beautiful place to explore with its cobblestone streets, French-influenced cuisine, views overlooking the St. Lawrence River and during the winter, you have the added charm of the Christmas lights and the German Christmas market in the center of the Old Town. It might sound incredibly romantic, and it is. Quebec City is gaining popularity with over 4.4 million tourists per year. We will share our favorite things to see in Quebec City, including all the Quebec City attractions that we visited and why we loved them! 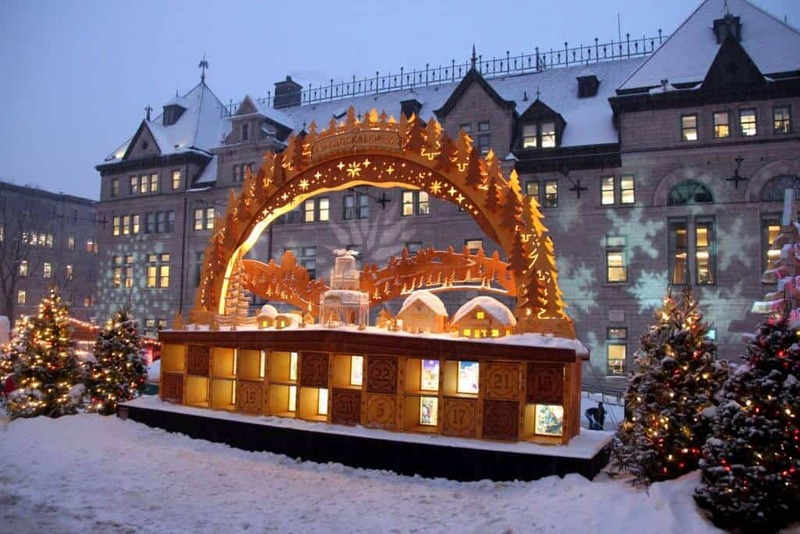 One of the major draws to visiting Quebec City was to stroll through the German Christmas Markets that center around the City Hall. 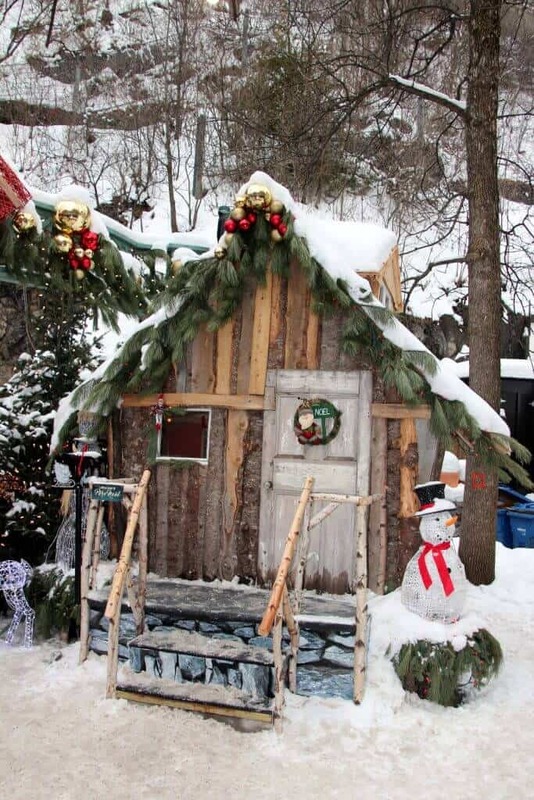 Quebec City has hosted the German Christmas Market for the last 20 years. With over 80 exhibitors welcoming you to come and see their items for sale, it is a magical place to explore. Each wooden kiosks features a different local product from Quebec, Germany, and Europe. Many are handmade by local artisans. 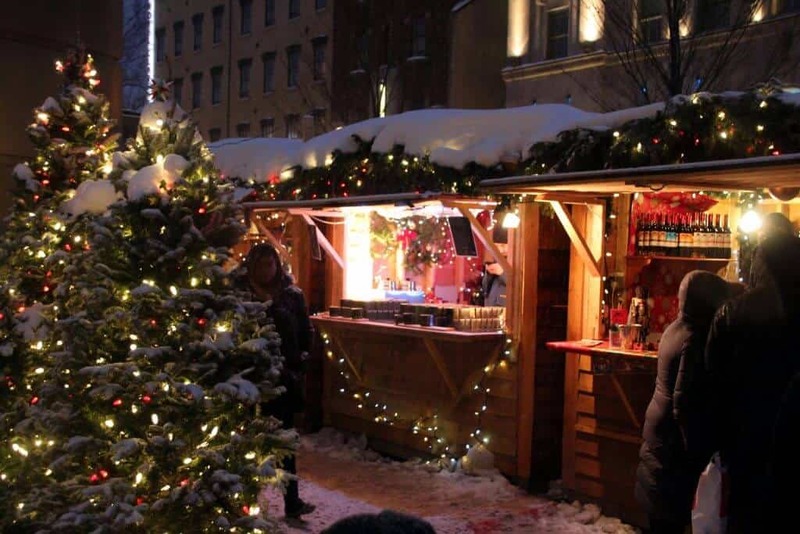 You can also find delicious treats from near and far, including pretzels, mulled wine and cider, traditional German cookies and cake, as well as chocolates and maple syrup lollipops. 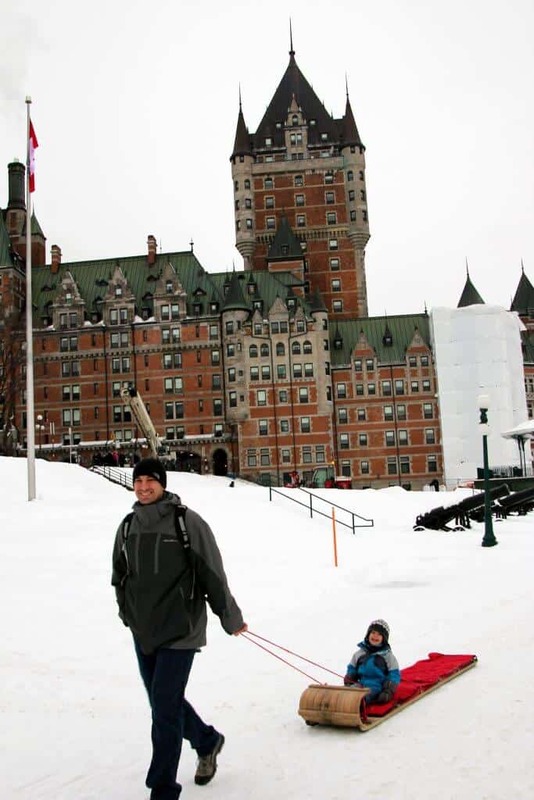 It is a favorite thing to do in Quebec City in the Winter. 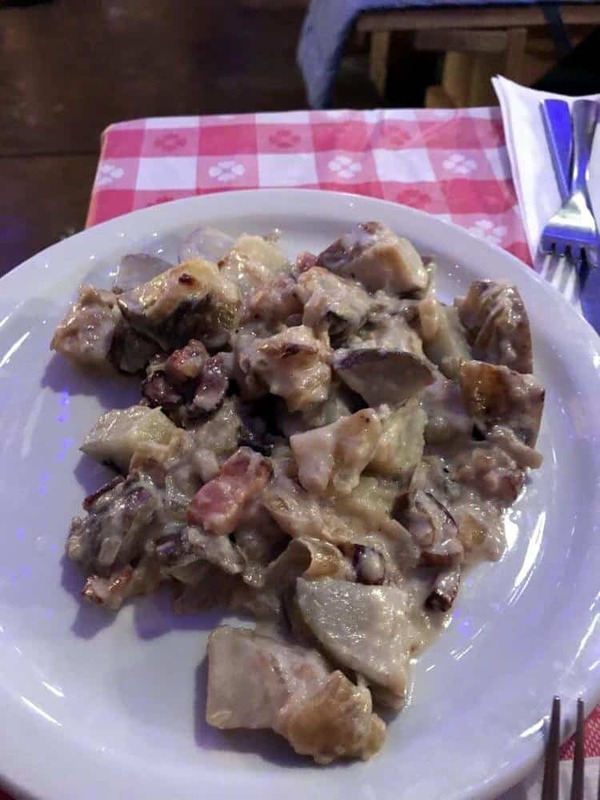 If you have a bigger appetite, be sure to stop by the BMW Alpine Chalet for a spin on traditional German fare including spaetzle, flammkuchen, and potatoes. Wash it down with a hearty beer or warm cider. 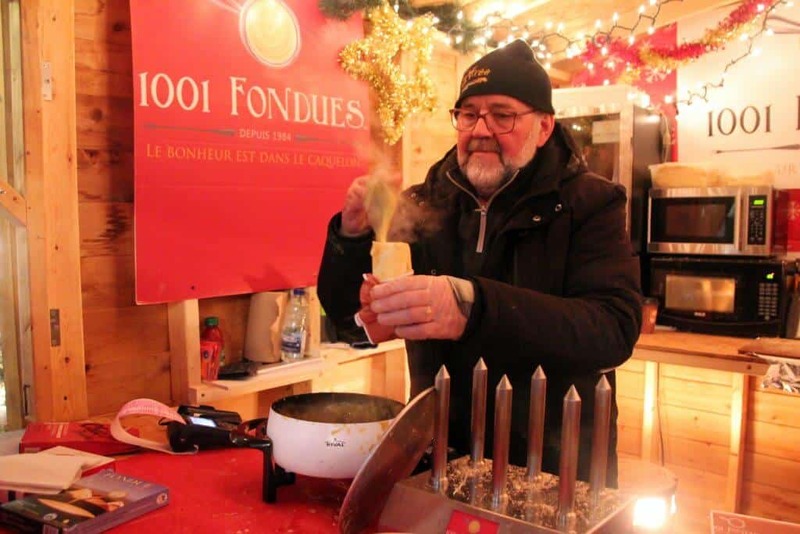 This year chef Frédéric Cyr, from the Fairmont Château Frontenac, showed us his talents of German dishes with a Quebec City flair! Since this was a family trip and our four-year-old son was along with us, we did some quick research to see what kid-friendly activities there were inside the markets. We were surprised to find quite a few things that were perfect for his age. Kinderchalet Ravensburger: You’ll find two large wooden wagons located in the upper portion of the market (near the advent display). Inside they set up different activities for the little ones including coloring, juggling with elves, Christmas songs, creative crafts and puppet shows (weekends). Check the schedule posted outside the door to see which times they are open and which activities are featured. Winterbar Stage and Rathausbühne Stage: There were plenty of different choral groups and bands playing around the market stalls to keep everyone having a good time. 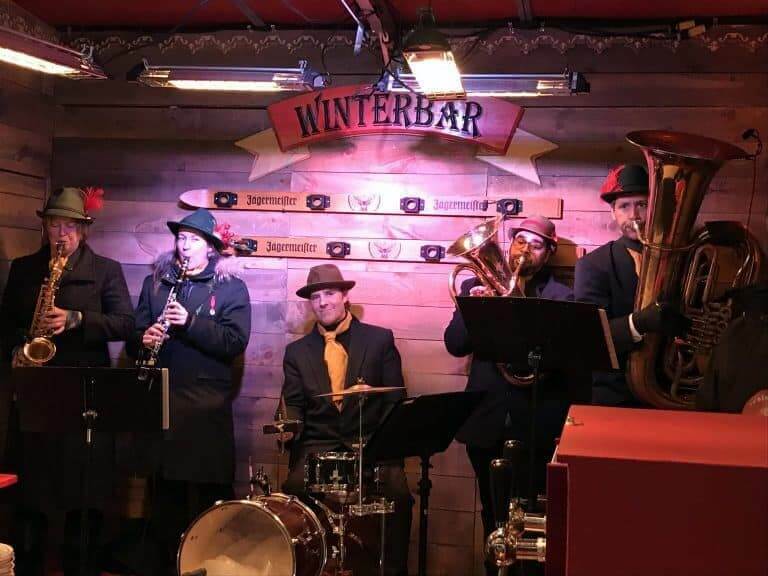 We enjoyed a brass band playing in the Winterbar Stage and a choral group standing on the stage in the middle of the market. 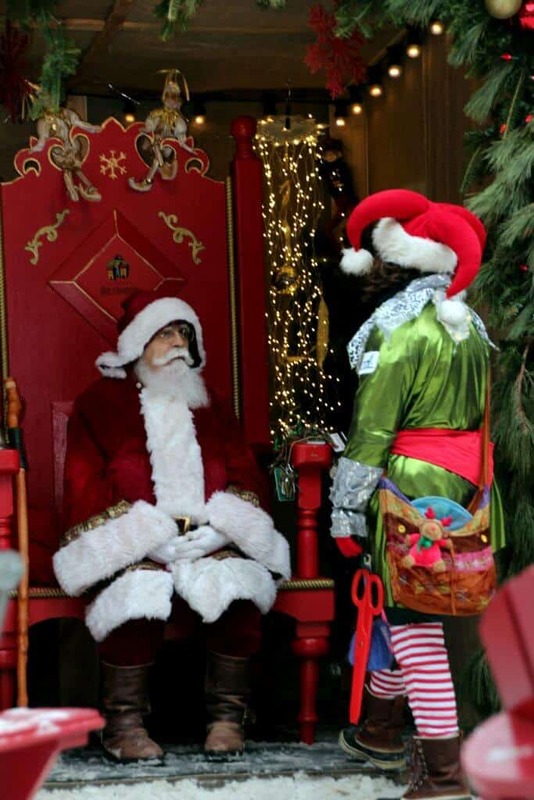 Visiting Santa: Kids can sneak in a visit with Old Saint Nick at various spots throughout town. We really enjoyed warming up by the fire and got a sneak peek of St. Nick with his elf friend. Our son wasn’t keen on a visit that day, but it was a perfect setting! 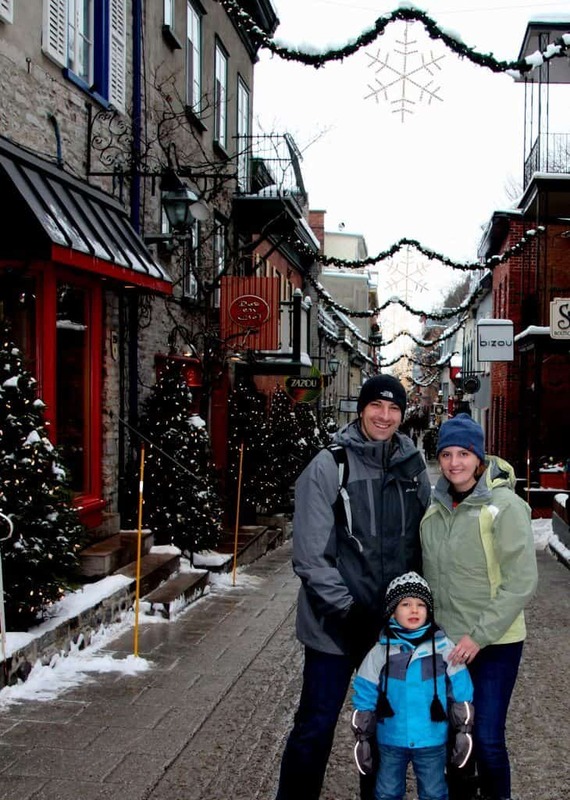 When we decided to visit Quebec City, we knew our four-year-old son would be coming along for the trip. 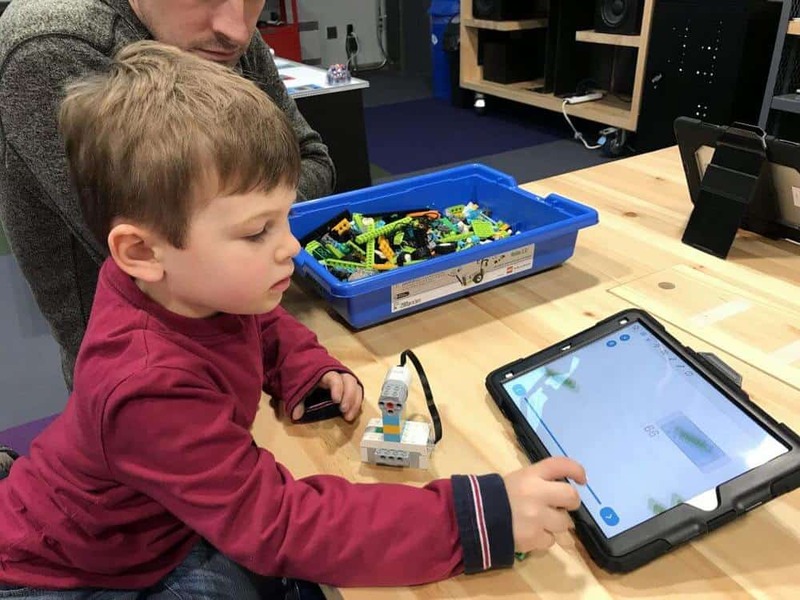 So after looking at all the fun things to see and do, we also knew we needed to find some fun kid-friendly activities to sprinkle in. 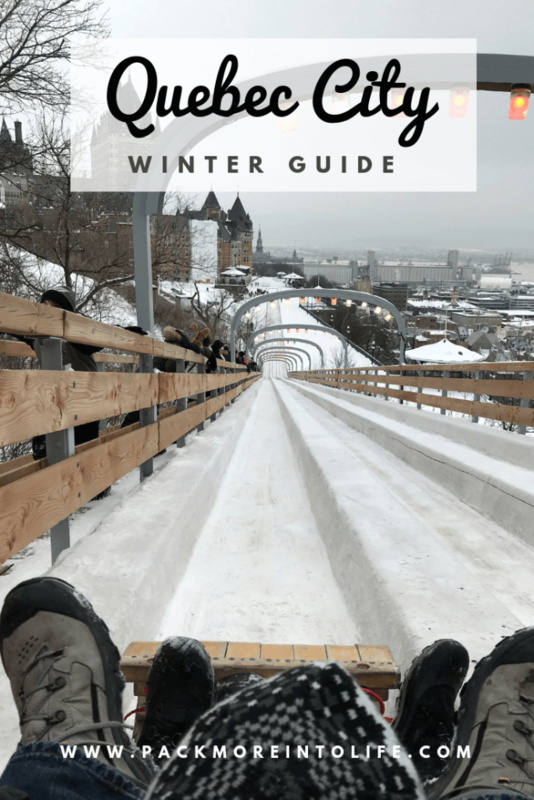 I’ll list all the fantastic things to see and do in Quebec City, but I’ll also note some kid-friendly aspects of each place we went to visit. 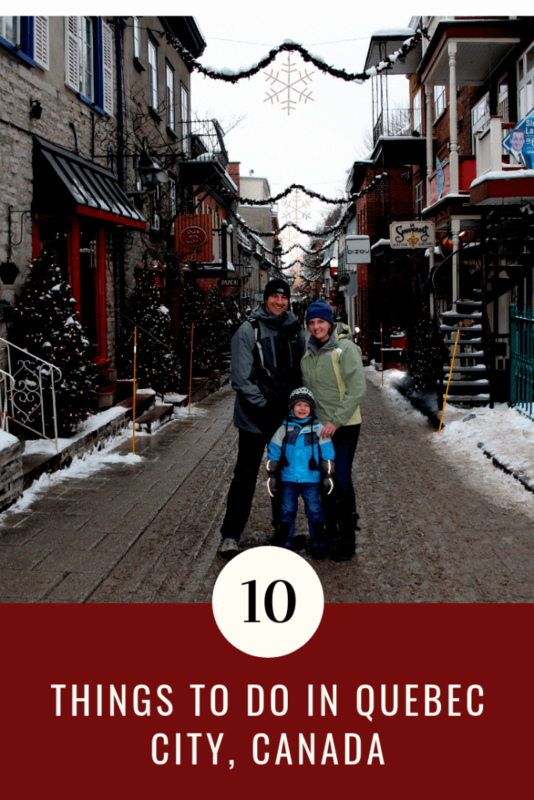 Check out our top 10 things to do in Quebec City! 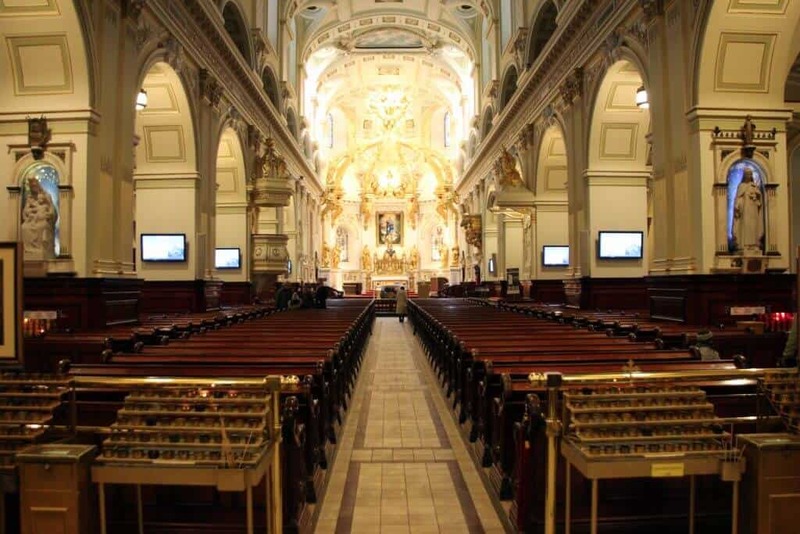 Dating to 1647, this opulent church has been rebuilt a few times & features a historic crypt. 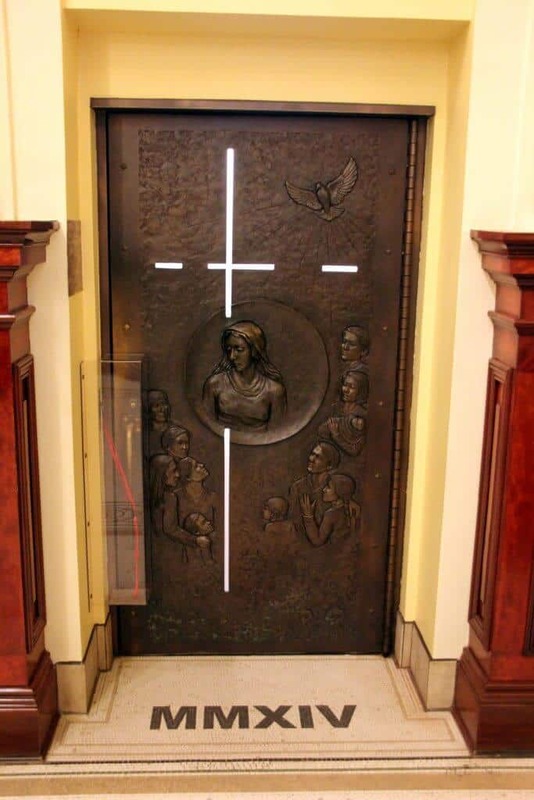 The church is open from 7am-4pm every day (slightly longer hours on the weekends). Check their website for more information, including special events. We enjoyed a quiet visit in the morning and found plenty of information in English to help explain the churches history and various features. Not far from the Chateau, you’ll find the tourist office. 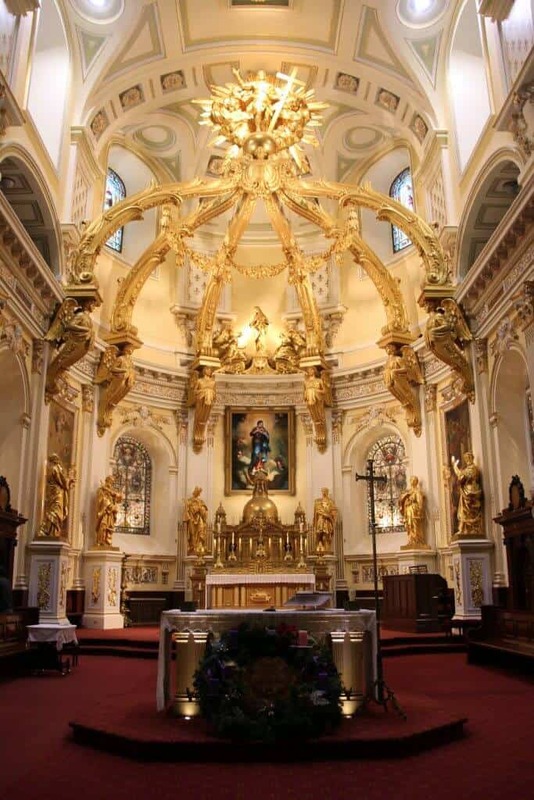 If you plan to visit Quebec City and need help figuring out what to see and do in Quebec City Old Town, the staff is fabulous and is happy to answer any questions you may have. Be sure to grab a map with all the places to visit in Quebec City highlighted. We enjoyed learning about some key areas to visit and about which Old Quebec City tours were offered this time of the year. Note: they also have clean bathrooms and a warm interior to escape the cold winter weather. 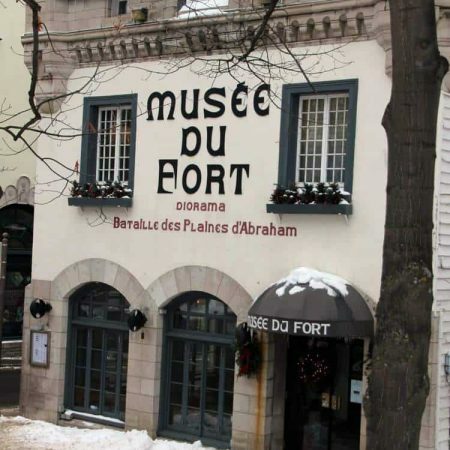 This little museum is a must to understand the history behind Quebec City. You’ll head up a set of stairs (above a restaurant) and pay $8.50 per adult (free for kids under 10). English shows are typically on the hour, French shows are on the 1/2 hour, but check their website before you go. Once you purchase your ticket, you can look around the little store, use the restroom or read some of the displays. 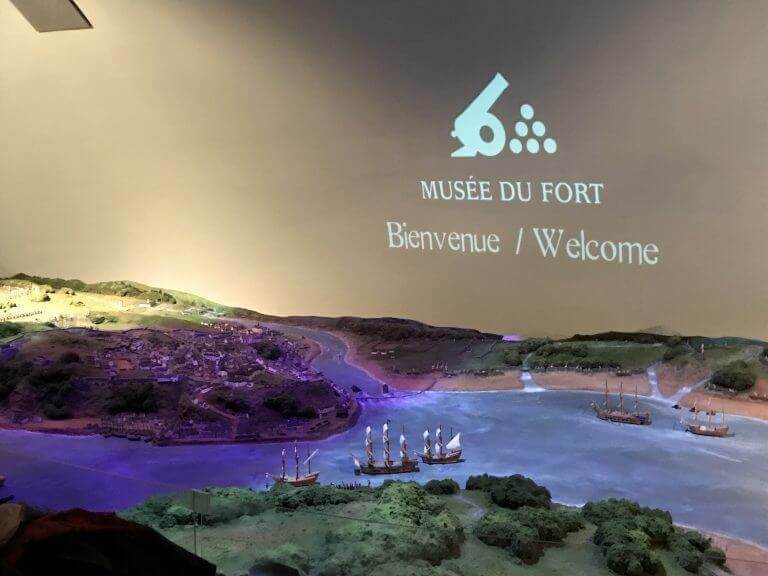 Then you’ll be led into a theater with a diorama representing the Quebec City area around 1750. From here the show will start and will illustrate the fight to conquer Quebec City and how its natural borders and cliff walls helped to defend against the attacks. The show lasts about 45 minutes and our son (at four years old) was able to sit for the show. I will warn that some parents may not find the content appropriate for small children. There are gun sounds and cannon fire, but no movie clips of fighting. Our son has walked the fields of Normandy, and we’ve discussed war throughout our travels, but if your children are sensitive to this type of subject, it might be best not to bring them. Otherwise, we were so glad we took the time to visit this little museum and understand the history of the beautiful city we were exploring. 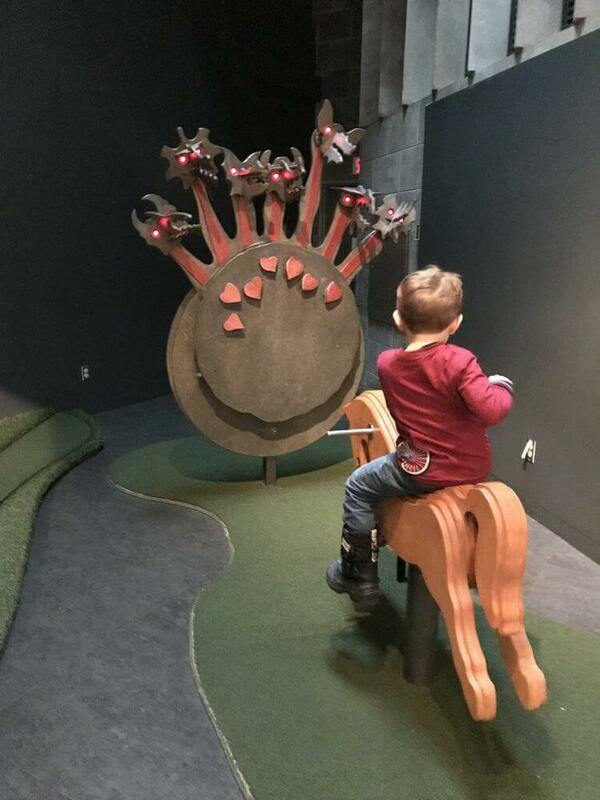 It was one of our favorite Quebec City museums during our visit. 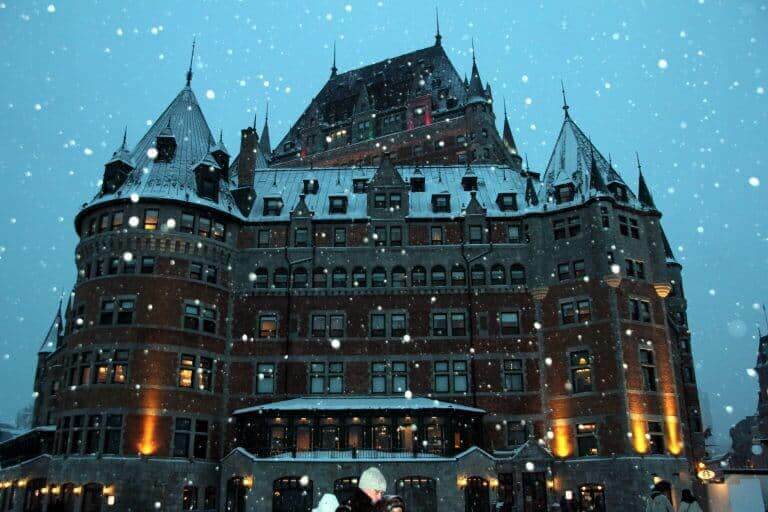 The Château Frontenac was built in 1893 and is one of Canada’s grand railway hotels built by the Canadian Pacific Railway. It features 18 floors with 611 guest rooms and suites. With its unique placement, it’s one of the most popular places to stay! Fun Fact: Château Frontenac is a part of Fairmont’s bee program where they have four queen bees and nearly 70,000 honey bees living on the roof of the hotel. They can produce 650 lbs of honey every year. Since we chose not to stay at this beautiful hotel, we made sure to enjoy looking at the architecture from outside and peek inside at the lobby area and main halls. 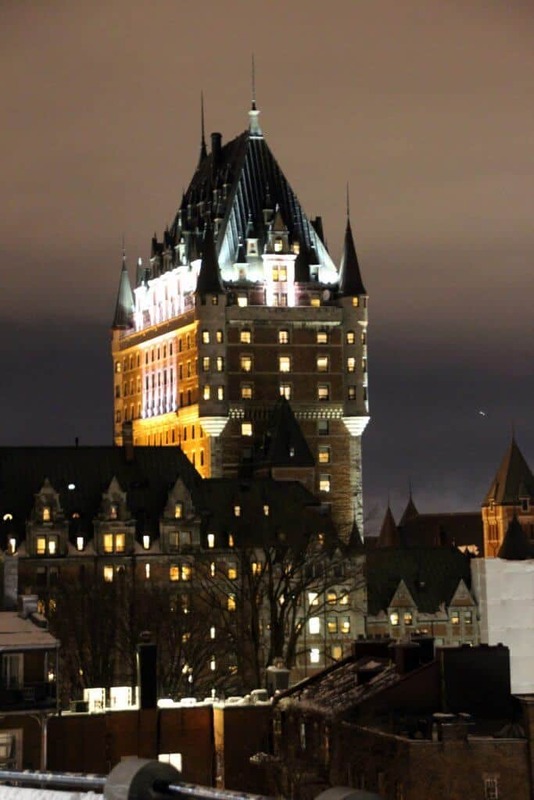 We can easily see why it is one of the most popular hotels in Quebec City Canada! 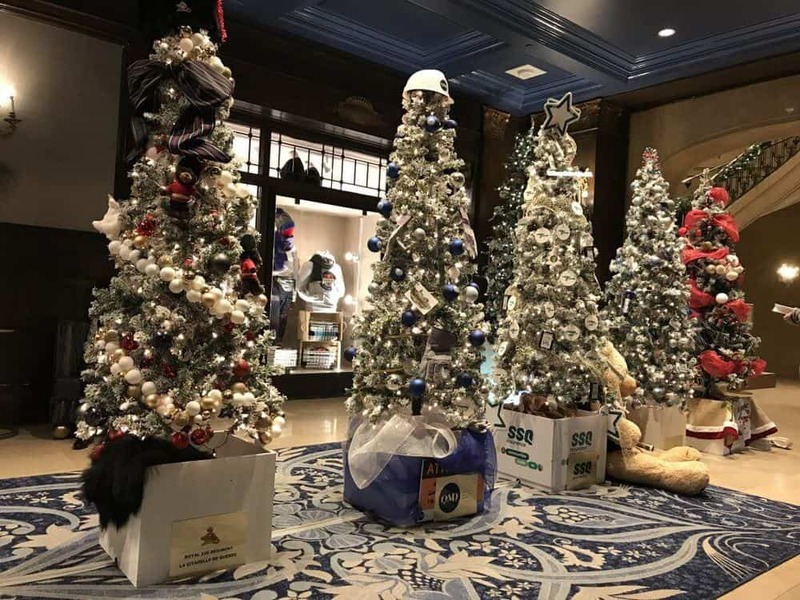 If you do decide to stay here during the holidays, be sure to note the hours to visit Santa Claus just off the main lobby. There were also beautiful trees lining the halls. 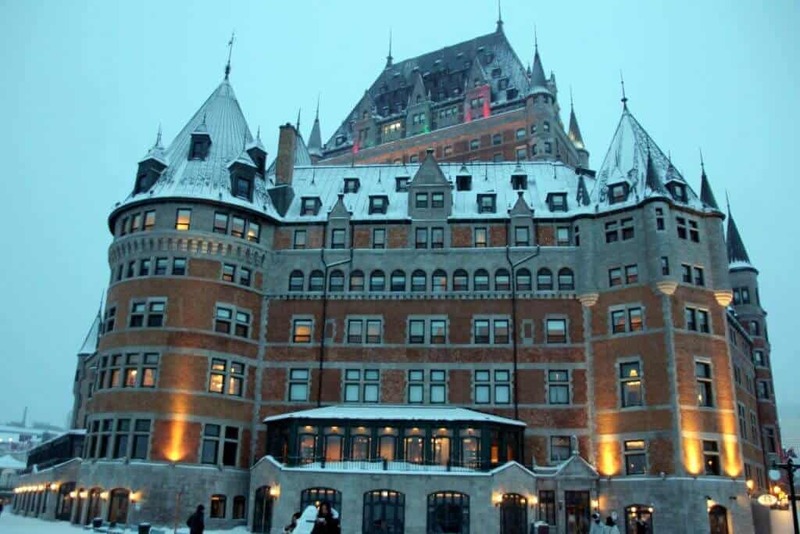 The Château Frontenac will be sure to get you into the holiday spirit. The terrace in front of the Château Frontenac is a favorite year round. In the summer it provides a beautiful place to check out the views, let the children run (pedestrian friendly) and enjoy some ice cream. 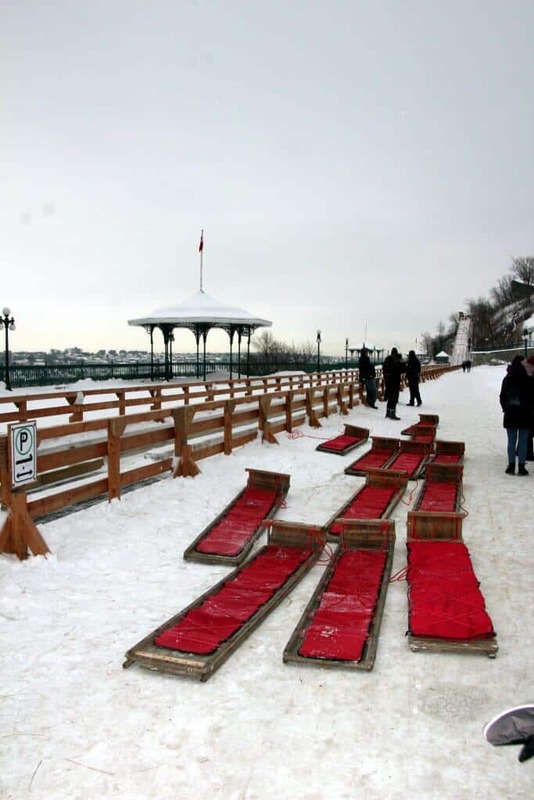 In the winter, they set up an ice Toboggan Slide Au 1884 that runs from Mid-December until mid-March. 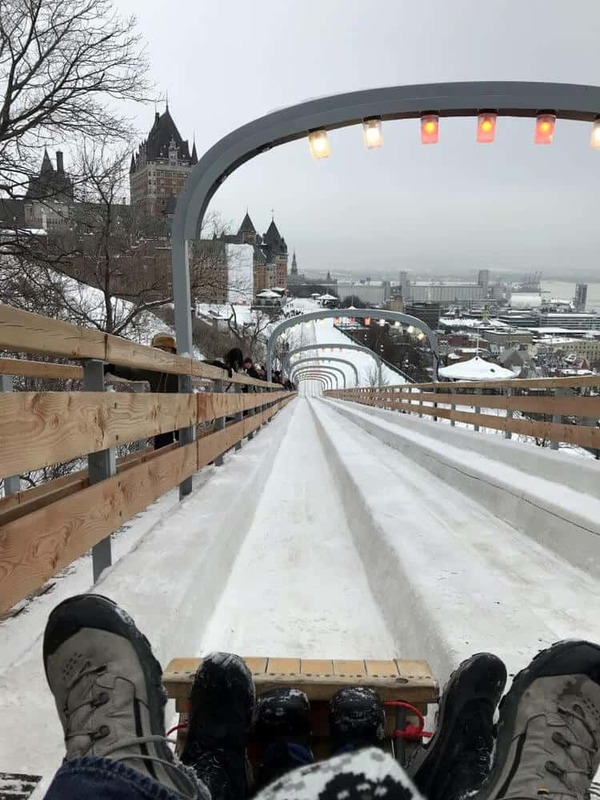 You can enjoy zooming (up to 70 km/h) down one of three ice slides on a toboggan that holds up to four people. Cost: $3 per ride, but you can buy a pack of 4 rides for $10. Everyone needs their own ticket, even the kids. So we purchased six tickets (enough to go twice). I didn’t see a minimum age since the kids are riding with their parents, but probably wouldn’t recommend it for kids under age 3. Be sure to cover your child’s face with a scarf or neck gator. The person in the front gets all the wind! 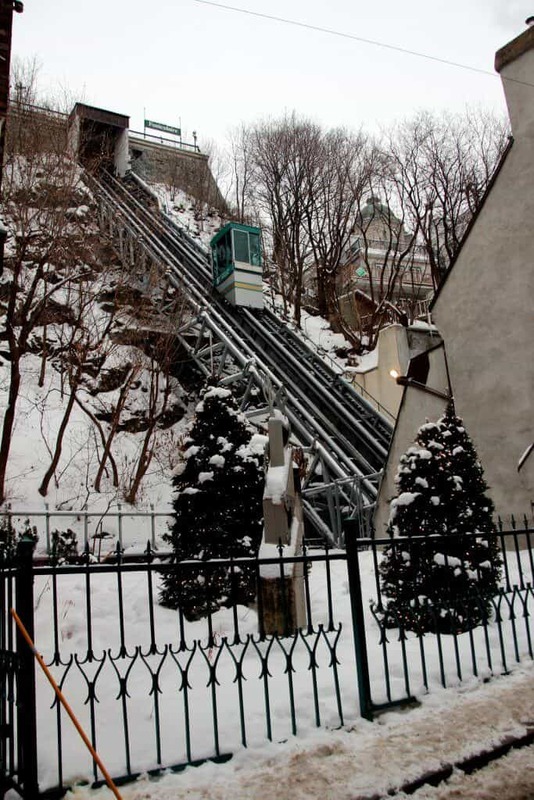 The Funicular is a fun way to get from the upper Old Quebec City down to the lower town. A one-way ticket is $3.50 (Canadian) and children under 117cm are free. Be sure to bring cash for the tickets. The Funicular is easy to find at the top of the upper town because there is a large glass structure with the words “Funiculaire ” above it. If you are trying to locate the funicular for the ride up, just look for the Pub Borgia, and you’ll find the entrance to ride the funicular up right next door. The funicular is indeed one of its kind and was originally built in 1879. It’s received some updates since then but still maintains its 45-degree angle ride. 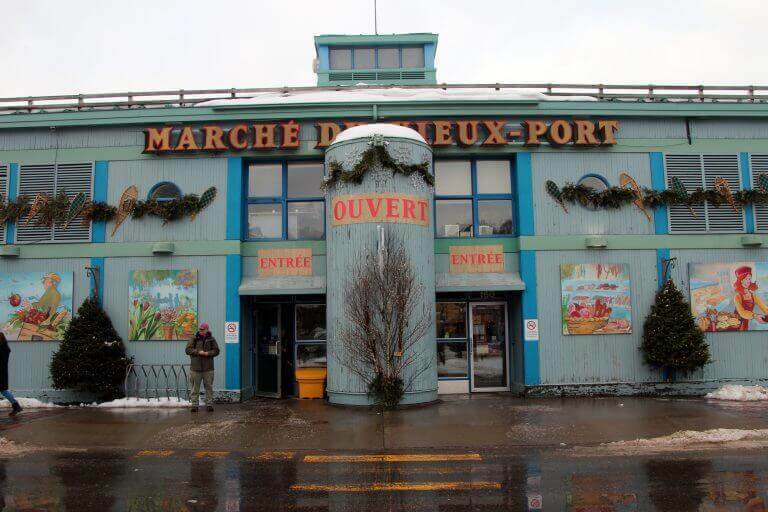 It is a Quebec City attraction that is not to be missed! If you’d prefer a bit of a brisk descent or climb, you can take the free, but steep breakneck stairs located just near the funicular. Either option will bring you down the beautiful street of Petit Champlain. This famous street is well known for its unique shops, unique restaurants, and maple treat shops. It is also a highlight during the Christmas season with its decorations and lights. One of our favorite places to eat, Le Lapin Sauté was along this street. Be sure to scroll up to find my restaurant review. 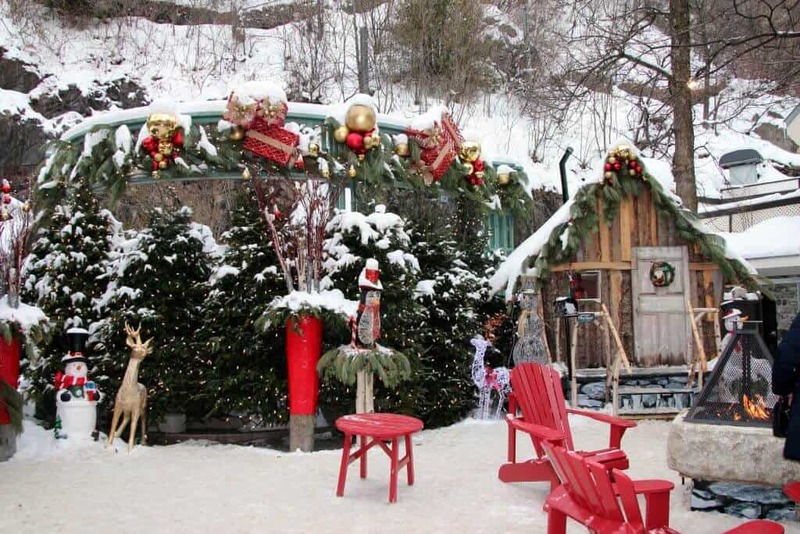 Or perhaps you’d prefer to indulge in some sweet treats at La Petite Cabane à Sucre de Québec. Either way, this street has a little something for everyone. Another favorite was the little winter wonderland they created with Santa and his elf friends. A crackling fire to warm you and more of those twinkling lights. As we continue along the lower town, you’ll discover Place Royale. It is a cute square with the oldest church in North America, Notre-Dame-des-Victoires. The church was built from 1687-1723 and was renamed a handful of times, receiving its final name after multiple battles and defeats of British and American forces. 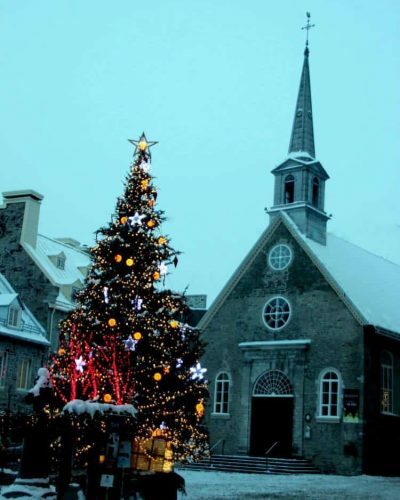 During the Christmas season, you’ll see a beautifully decorated Christmas tree just in front of the church. Fun Fact: In 2002, the church served as a filming location for Catch Me if You Can. 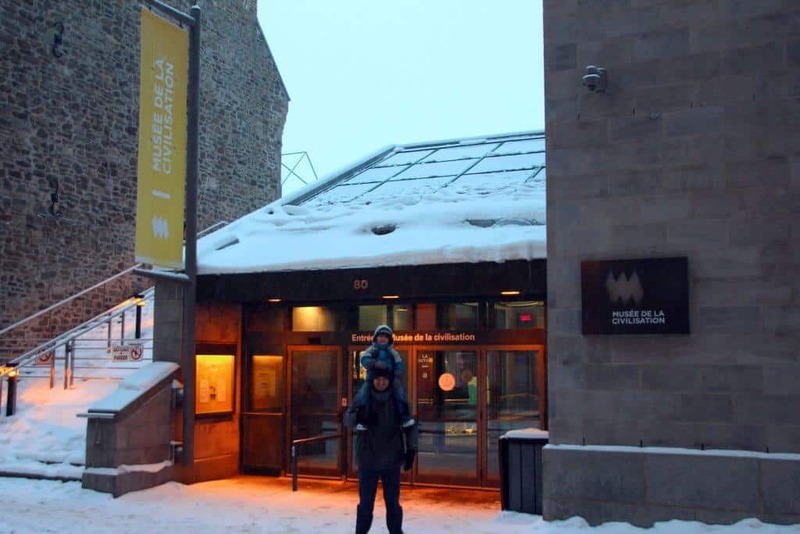 If you are looking for a great museum to visit during your visit to Quebec City, then this is the museum! It is located in the lower town and features multiple exhibits. 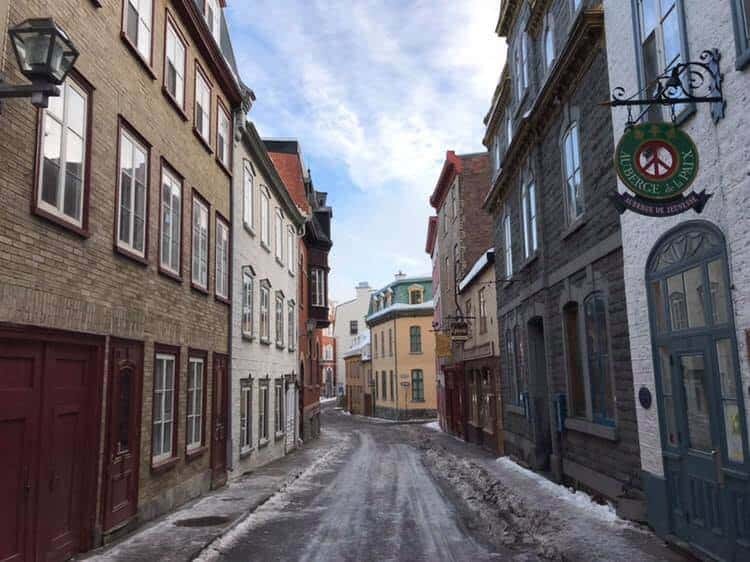 A perfect place to get rid of those winter coats and delve into the history of Quebec City. Or perhaps you have kids like us, and you’d prefer to let them burn some energy! Be sure to grab a map and head for the following three exhibits: OBSERVE, Once Upon a Time and the MLab. 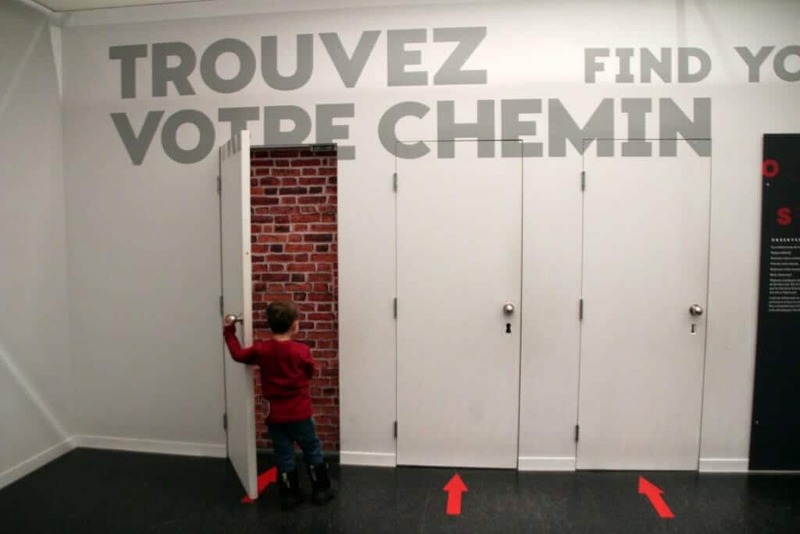 OBSERVE: Be prepared to use your senses and explore this interactive exhibition designed for families. We loved the fun illusions, search and find sections as well as the black room to experience lack of sight. Lots of great places to explore from a crowded attic, sky feature, and building zone. Test yourself at the end to see if you discovered everything. 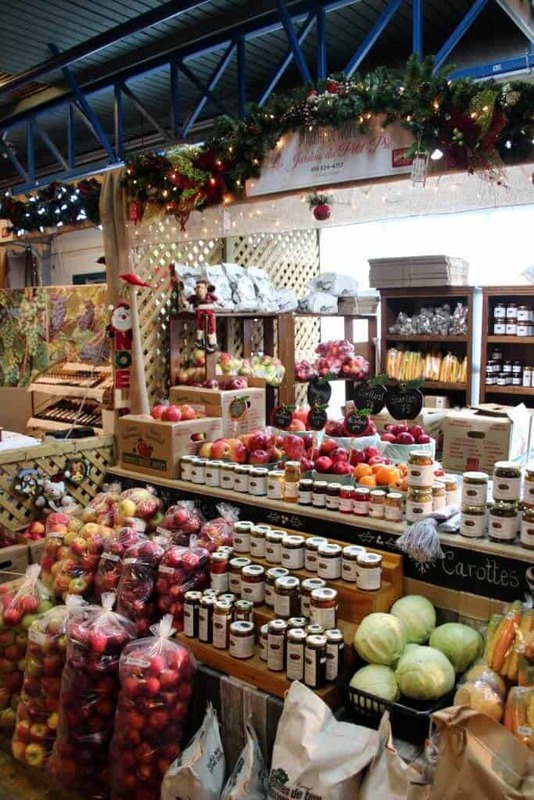 A visit to the Market in the Old Port of Quebec is a must if you are looking for unique gifts and fantastic food. 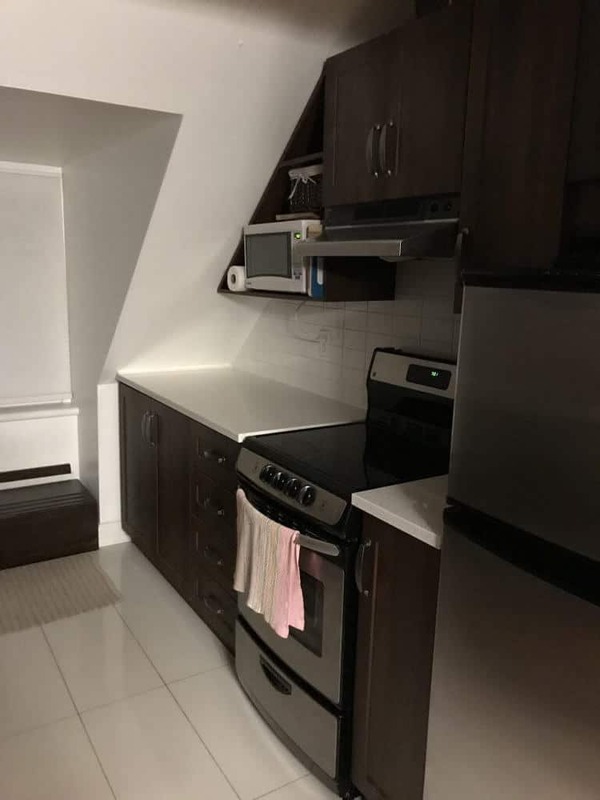 There is a large variety of foods available for sale with the ability to take it home to cook for yourself or prepared foods to enjoy in the market. 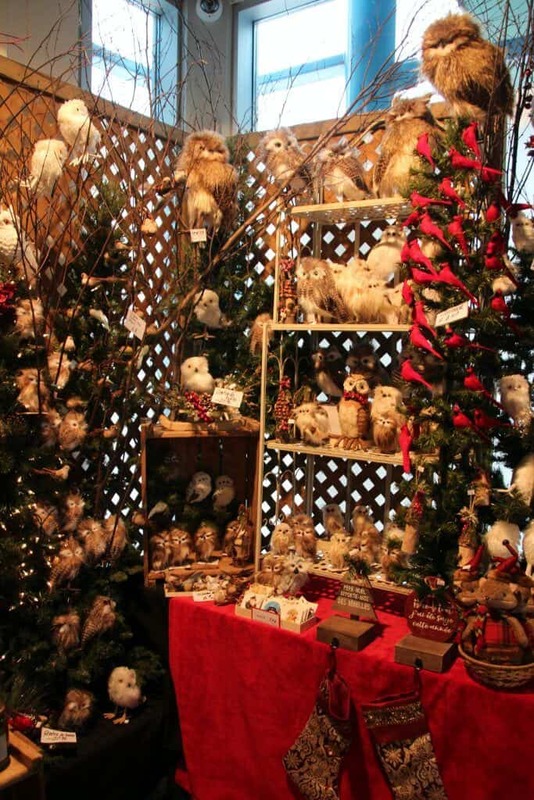 Local artisans have their items displayed for sale and during the Christmas season, expect to see some fun seasonal items. 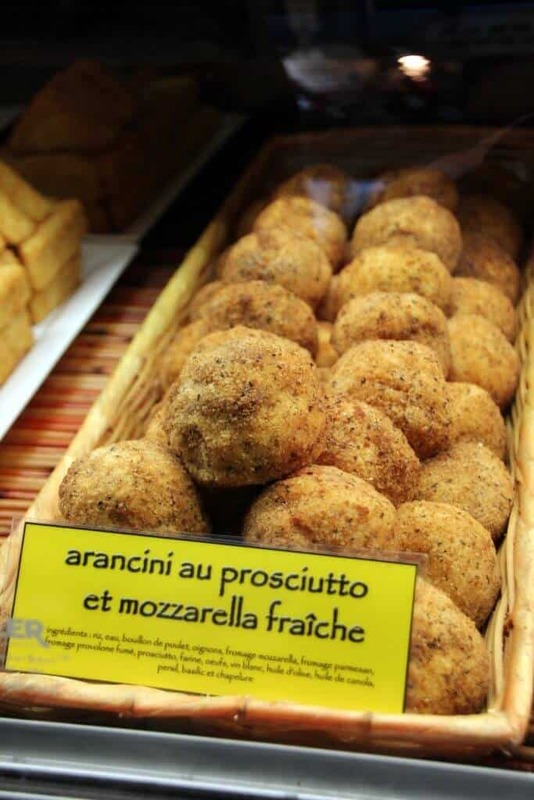 We visited the market during lunch and enjoyed eating arancini balls filled with cheese, vegetables, and meats. We sampled cheeses and sweet treats. There is also a food court with more options and free bathrooms (towards the middle). Looking to explore outside Quebec City and see what else the Quebec Region has to offer? Since we decided to rent a rental car, it was easy to get around the city and visit some of the other top attractions. The roads were easy to drive, and the signs were clear. We used our cell phones to navigate using Google Maps, and the rental car had winter tires, so there weren’t any issues driving in the snow. 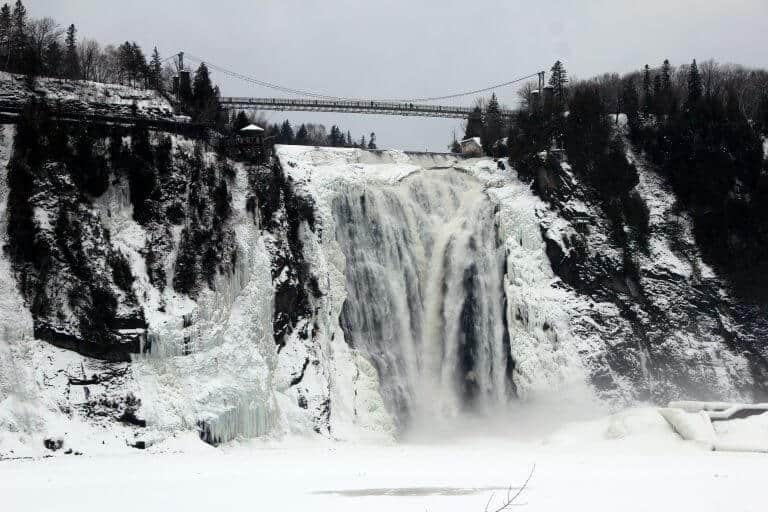 Montmorency Falls is a large waterfall on the Montmorency River near Quebec City, Canada. It is an 18-minute drive and easy to access. We enjoyed a quiet visit during mid-December, which meant many of the attractions were closed, but the parking areas were free. Village Vacances Valcartier is easy to visit as a day trip, due to its proximity to Quebec City at just over a 30-minute drive. 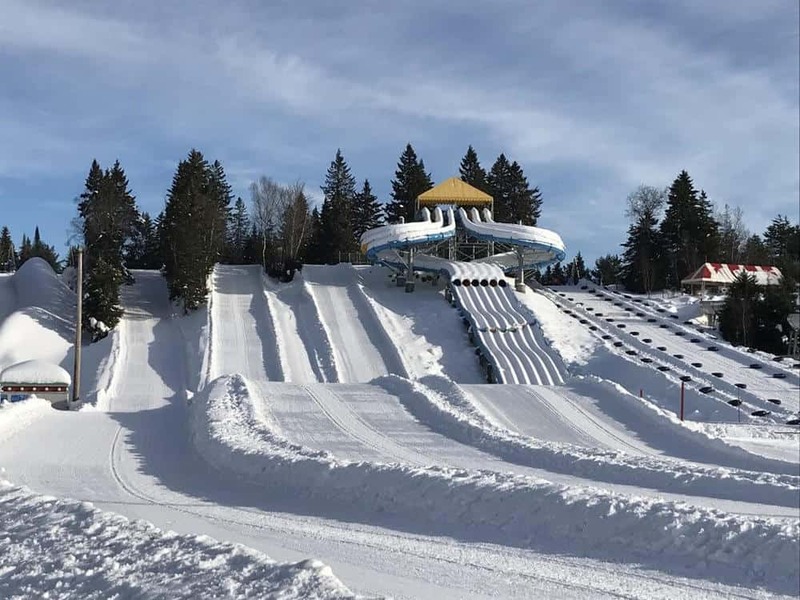 During the Winter you’ll find a giant snow tubing winter wonderland complete with over 20 tubing runs, ice skating, kids snow play zone, and snow rafting. 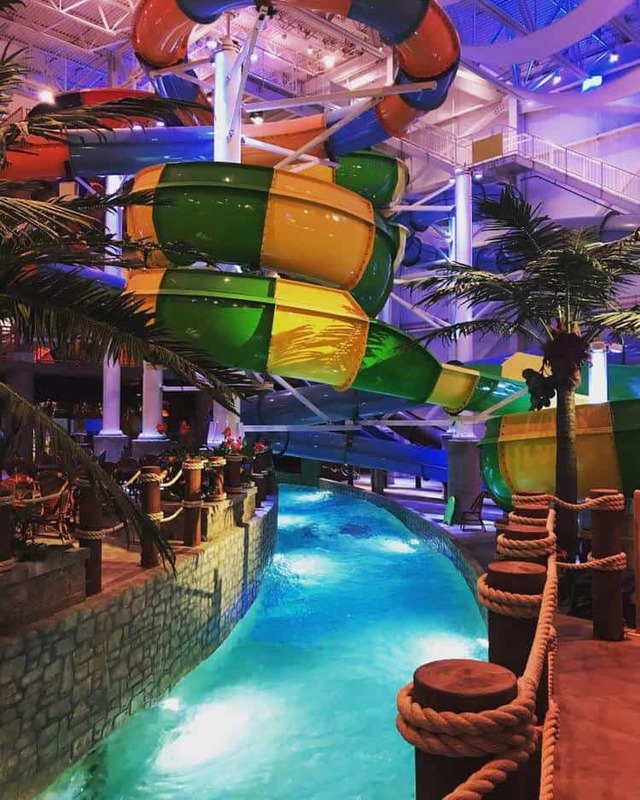 Also, they have a massive heated indoor waterpark with lazy river, wave pool, tons of slides in varying degrees of thrill and restaurants. We knew we would want to spend plenty of time at Valcartier, so we decided to spend two nights at their resort. 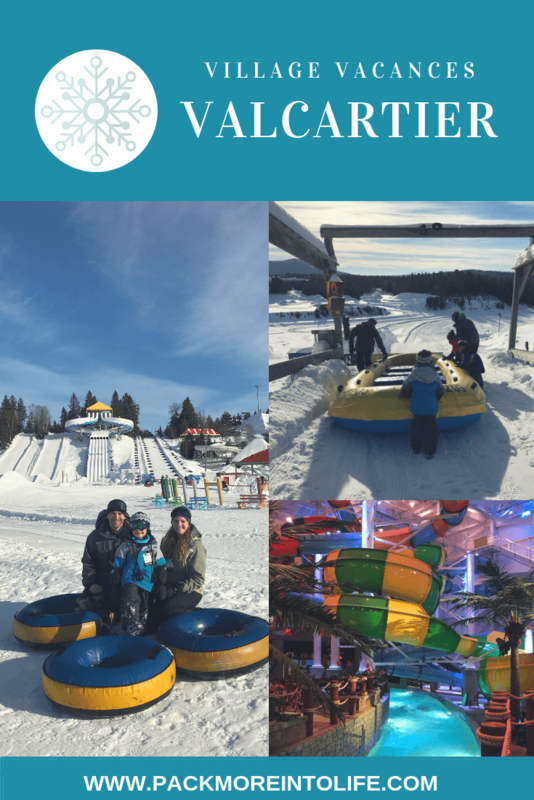 I’ve included an in depth review of the Valcartier hotel, Bora Parc and the Valcartier Winter Playground. Want to read all about our visit to Valcartier? Click the image below! There is so many fabulous places to visit in Canada, check out more things to do in Canada for your next trip! I hope you’ve enjoyed reading about our trip to Quebec City and have been inspired to book your own visit to the city. The Christmas season was incredible with all the events and Christmas lights throughout the charming town. We also loved that we didn’t have to change time zones, but still felt like we were in a beautiful European city. Want to read more about the destinations that we’ve visited? Over 30 countries and counting! Head over to my destinations page to see what is on the blog. Great post! I’m ready to go!